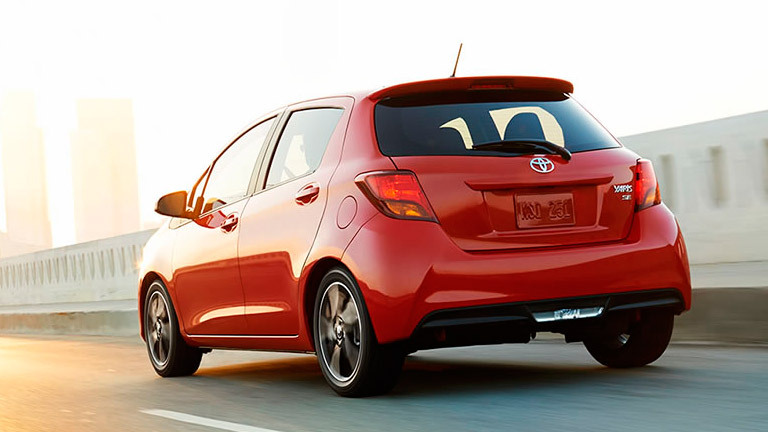 We’re witnessing a revolution in hatchback sedans, and the 2016 Toyota Yaris is the leader of the movement. Gone are the days when you might expect to see a sedan with a hatch that looks more like a station wagon than a streamlined car, and in their place is the sleek, lean, fun Toyota Yaris. Let’s consider the 2016 Toyota Yaris in Brampton ON and what it offers that makes it the envy of the others in its class. On the outside, the signature hexagonal front grille and daytime running lights give the Yaris a striking, futuristic feel. On the inside, once you open the hatch you’ll enjoy 433 litres of cargo room with the back seats upright, and additional room for your stuff if the rear seats are folded down. The Yaris has wonderful fuel efficiency, going through fuel at the rate of about 7.7 litres per 100km traveled in the city and 6.3L on the highway in the manual versions, which increases slightly to 7.8L in the city and 6.6L on the highway in the automatic versions. The only Toyotas that top those numbers are the Prius and the Camry hybrid. 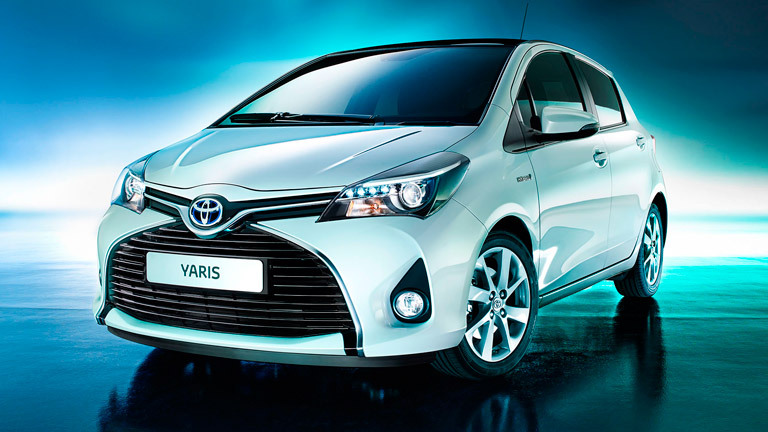 But the Yaris isn’t built as a hybrid, however, it’s built for convenience and versatility, and also superior handling. The 2016 Toyota Yaris has a curb weight of only 1,030 kg (2,315 pounds), and it’s as quick as the Tazmanian Devil when you need to make a turn or fit into a tight spot on the city streets. And at an affordable suggested retail price, starting at approximately $15,000. With the Yaris, you come for the convenience that the fold-down seats and extra cargo room give you, and you’ll stay for the Toyota Star Safety System, a package of features which includes Brake Assist (BA) and Smart Stop Technology (SST), and all the tech you could ask for, with flourishes like a seven-inch touch screen, and two USB audio inputs. Also available for the 2016 Yaris are voice recognition controls and a back-up camera. Attrell Toyota is located at 110 Canam Crescent, Brampton, Ontario, L7A 1A9, and we have plenty of Yaris models, as well as others, in stock. We serve the greater Mississauga and Toronto area as well. Please contact us at 905-451-7235 or come visit us today to see our cars or to take one for a test drive.